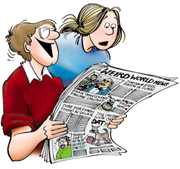 wallpaper | Items | FBorFW Strip Fix For Better or For Worse Comic Strip by Lynn Johnston. This entry was posted in Uncategorized on November 5, 1979 by stripfix. This entry was posted in Uncategorized on October 13, 1985 by stripfix. This entry was posted in Uncategorized on September 6, 1988 by stripfix. This entry was posted in Uncategorized on September 7, 1988 by stripfix. This entry was posted in Uncategorized on September 8, 1988 by stripfix. Originally Run: she's stripped the piece back off three times and she can't get the pattern to match. She wishes she'd chosen a different brand - this wallpaper is out to get her. This entry was posted in Uncategorized on September 9, 1988 by stripfix. This entry was posted in Uncategorized on January 25, 2000 by stripfix. 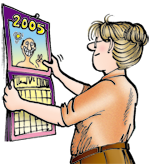 This entry was posted in Uncategorized on January 27, 2000 by stripfix. This entry was posted in Uncategorized on November 15, 2007 by stripfix. Lynn's Comments: Uncle Phil's relationship with Connie illustrated the single side of things and Connie's having a child nicely complicated everything. Naturally, Elly was intrigued by her brother's affairs. Because he was living in her home and dating her close friend she felt it was...let's say... "her responsibility" to find out what was going on. When my brother lived with me, however, I refused to ask him his personal life. I would wait until he confided in my other room mate, Fran...and worm the information out of her! This entry was posted in Uncategorized on May 4, 2011 by stripfix. Lynn's Comments: I often used to start big projects after dinner when the kids were in bed and the house was quiet. The trouble with this was that I couldn’t stop when I was tired–I was always determined to finish the job…which might be 3:00am. This entry was posted in Uncategorized on September 6, 2017 by stripfix. Lynn's Comments: The walls ARE often crooked. This is why stripes and squares have to be carefully measured and cut. Just call a professional. This entry was posted in Uncategorized on September 7, 2017 by stripfix. Lynn's Comments: I eventually learned some of the tricks of the trade…but by then, I’d messed up a lot of walls. This entry was posted in Uncategorized on September 8, 2017 by stripfix. This entry was posted in Uncategorized on September 9, 2017 by stripfix.